Entry Doors: Our ProVia Doors vs. Box Store Doors – What Are the Differences? When purchasing a new door for your home, all of the options can often be overwhelming. Despite the wide variety of choices, it’s important to understand the differences between certain products so you know that you’ll get the highest quality door for the price you pay. In this month’s blog post, we’ll discuss eight differences between our ProVia Entry Doors and other box store doors. Your front door is the focal point of your home. The warranty on that door will provide peace of mind. Most manufacturers will offer a lifetime warranty, however, when looking at the fine print, you will see a noticeable difference. Provia offers a transferable warranty to the next homeowner which is an incredible value for resale purposes. Most box stores do not offer a transferable warranty. Provia also offers a 10-year warranty on painted doors. If box stores offer painting, the warranty will most likely be for one year only. Provia also includes a lifetime seal failure and glass breakage warranty. Many box stores offer no glass breakage and as little as a 5-year seal failure warranty. You get the picture. Provia stands behind the exceptional quality of its doors. At Omaha Door & Window, we have a Design-a-Door program that we offer to customers in-store or at your home. On our user-friendly iPads, customers can select the specifications for their door and even put it on a picture of their home to see what it will look like. This is a benefit you won’t get when making a box store purchase. Most box store doors only offer primed doors, and after you purchase the door, you’re responsible for painting it on your own. ProVia offers factory-painted doors in your choice of color. Not only will you be able to choose from 16 different paint colors, 14 stains, and 5 wood grain options, but your door will come out looking great because ProVia uses a 7 step process that delivers on appearance. ProVia steel doors are a 20-gauge thickness and most box store doors are a 25 or 26-gauge thickness. The larger number gauge the door has, the thinner its skin. With ProVia, you know that your door is more secure and durable than other box store doors. High insulation value means a stronger door. 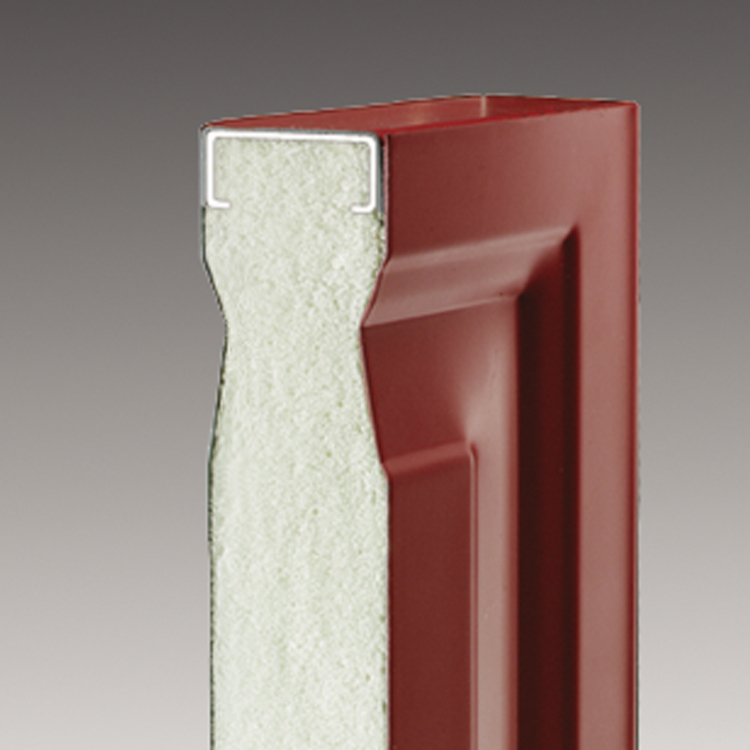 ProVia uses an injected expandable foam inside the slab of each door (as seen in the picture below), while box stores typically use styrofoam. The expandable foam yields a much higher insulation value for the door, which ultimately saves you money on energy bills. Fiberglass doors from ProVia look and feel like real wood. Most fiberglass doors that you would find in a box store are cheap replicas that don’t resemble real wood at all. If you want a true wood look for your door, choose a ProVia product. Added security on your door serves insurmountable value for your home. ProVia uses a security plate, as seen in the picture below, that’s mounted on the frame of the door and screws into the stud of your home. For someone to break in, they would have to remove that stud off of your home, which is extremely difficult. 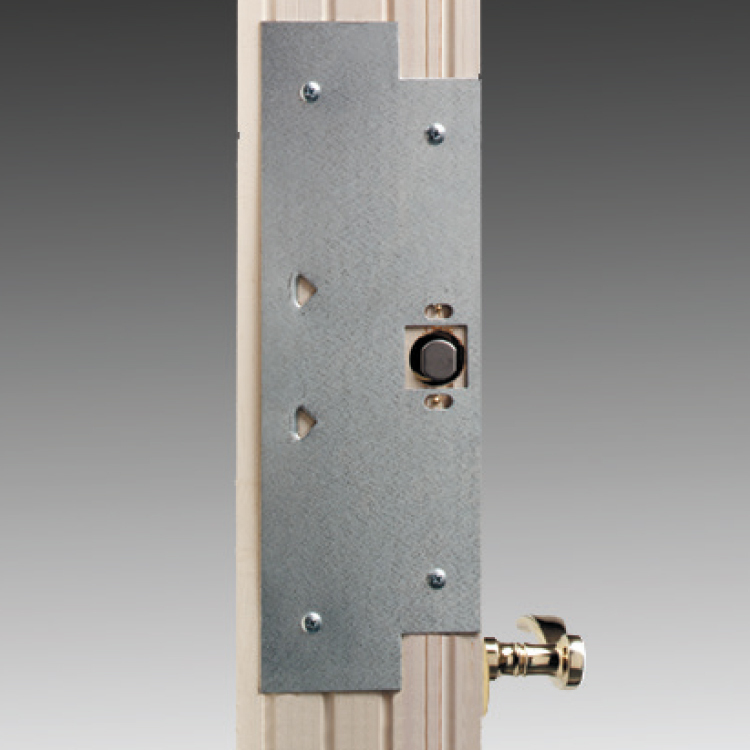 Box stores use a much smaller wooden screw which can be easily broken if someone kicks the door. Box store doors have wooden edges around the perimeter of the door slab, which can start to warp and rot over time from moisture. ProVia doors do not have this wooden edge, so there’s no need to worry about water damage. We hope you found the comparison of Provia doors and box store doors to be helpful. Click here to visit our website for more information on entry doors and the different options for your home.